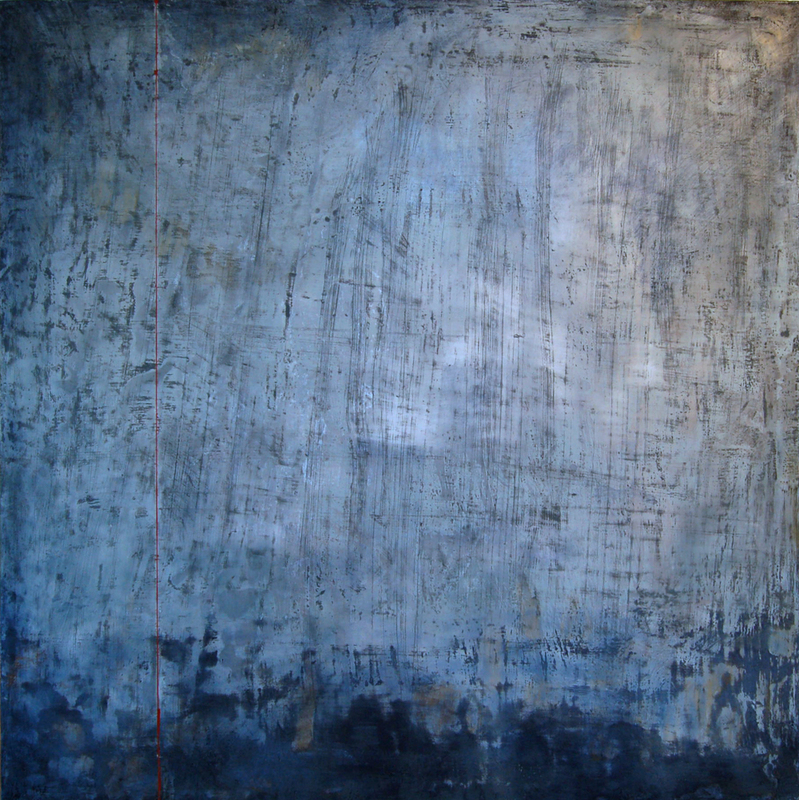 Winnipeg artist Sue Gordon's ethereal encaustic work bares the weight of her nostalgia for the prairie horizon. She now seeks to tell stories of longing associated with the increasingly disconnected world of social media set against her dramatic landscapes. 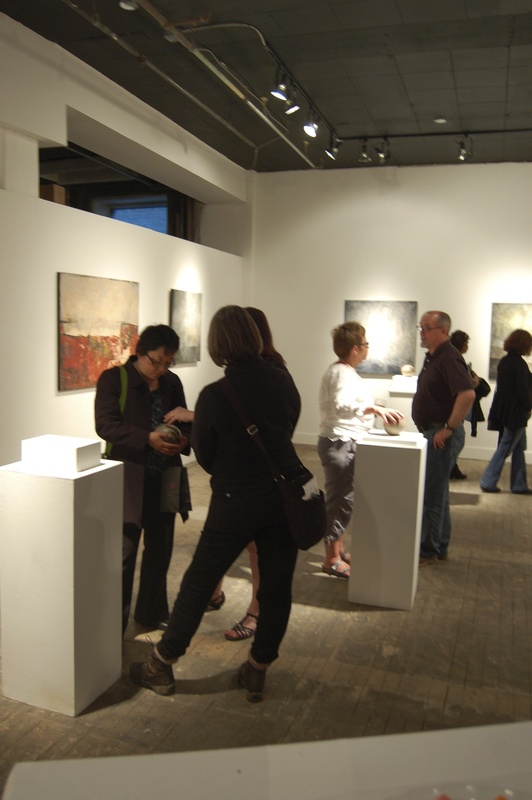 The exhibit, Far Country opens June 7 at 7:00 P.M. with the artist in attendance. 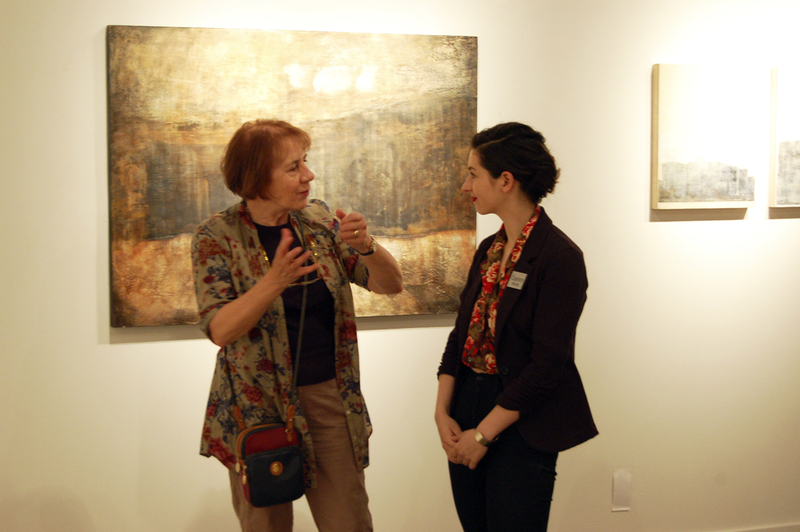 The exhibit will run from June 7 to 28 at Gurevich Fine Art. "The older I get, my ability to hope and therefore the things that I long for have changed," explains Gordon. She feels social tools such as Pinterest and Tumblr allow people to derive importance from objects and construct an endless array of mythical lifestyles. Harmonizing with Gordon's wall pieces are a number of waxed cement orbs, representative of this weight we carry. 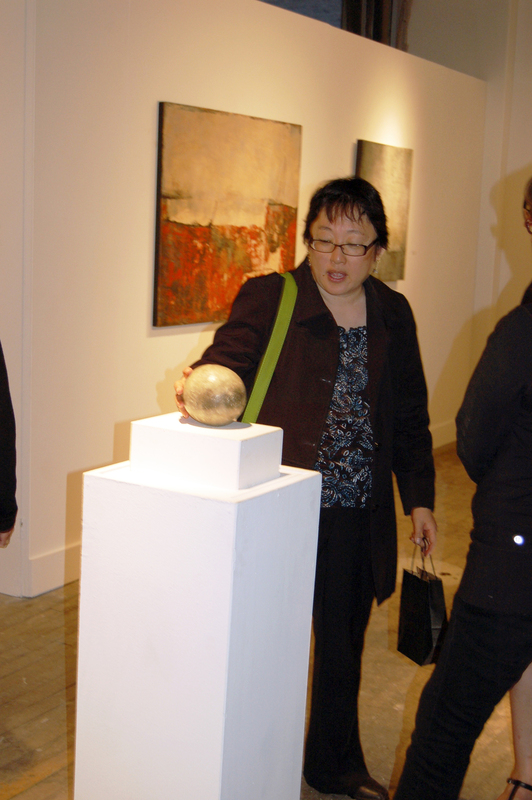 Gordon wants to encourage viewers to touch and lift the orbs as a physical reminder of her theme. "True longing is a complex experience. Far Country is the place wherewe feel incomplete and unsatisfied," Gordon states. "Perhaps this is why I return again to the land, to the sky, and to the weather. They are constants in my life through which I can reflect on memories of the past, on an imperfect present, and on longings for the future." Discover more about Sue Gordon by clicking here. As I grew up on a farm in Saskatchewan, I have always been drawn to the horizon. In my work, the horizon has often been used as a metaphor for hope and longing – a thin band of light on the edge of a bleak prairie. However, the older I get, my ability to hope and the things that I long for have changed. The world is a dark place, and there have been seasons of life that have been difficult. Many of the horizons I now paint are obscured, as I feel I am unable to see things with the clarity I once had. I often think about the concept of ‘longing.’ I am interested in the things we long for, and the ways in which we long. With the recent advent of sites such as Tumblr and Pinterest there are thousands of people trying to derive meaning, significance, or a sense of beauty by scrolling through an apparently endless number of lifestyle images. As these sites are often about what is novel, they make me uneasy. Perhaps this is why I return again and again to the land, to the sky, and to the weather. They are constants in my life through which I can reflect on memories of the past, on an imperfect present, and on longings for the future. True longing is a complex experience. To long for “something more,” Far Country is where we have to feel incomplete and unsatisfied. Longing involves both positive and negative feelings. This ambivalence is something I hope my work communicates.